Patrick Henry was born on May 29, 1736, on his family's farm in Hanover County, Virginia. His father, John, had immigrated to to Virginia after graduating from King's College. He met, Patrick's mother, Sarah Winston Syme when he arrived in Hanover County. For a wedding present her parents gave them 300 acres and 6 slaves. Unfortunately, the ground had been exhausted from over cultivation. Before long, Patrick began working as a lawyer where he would soon gain local attention in a case that became known as the “Parson's Clause.” During his impassioned speech before the jury he denounced a church minister who had sued for and eventually won back pay. Patrick convinced the jury to only award him one penny. Soon afterward, he would be elected to the Virginia House of Burgess in 1765. Then, in 1775, Sarah would develop mental problems and died unexpectedly. Before long, the British decided to expand their protection of North America by increasing the size of their army to 7,500 men. However, they had no way of paying for the expense, and the British citizens had been very vocal about the fact that they paid enough taxes. After much debate, Prime Minister Grenville decided that the best way to do this was to impose the Sugar Act of 1764. The new law instantly became a financial shock to the rum distilleries. However, the new law only produced a fraction of the money that was need to maintain the army. As a result, Grenville proposed a Stamp Act. At the time, the British were paying a stamp tax on wills, mortgages, licenses, and a host of other things. As a result Grenville thought it was an excellent way to raise the badly needed revenue. However, the opposition in the New World erupted like a tidal wave. The first response came from Patrick Henry. Patrick immediately introduced a series of resolutions in the House of Burgess that denied the British Parliaments right to levy the Stamp Act. Patrick shouted, “Cesar has his Brutus, Charles I his Cromwell.” Patrick proceeded to eloquently denounce the Act, and it didn't take long before he was accused of treason forcing him to apologize for his remarks. 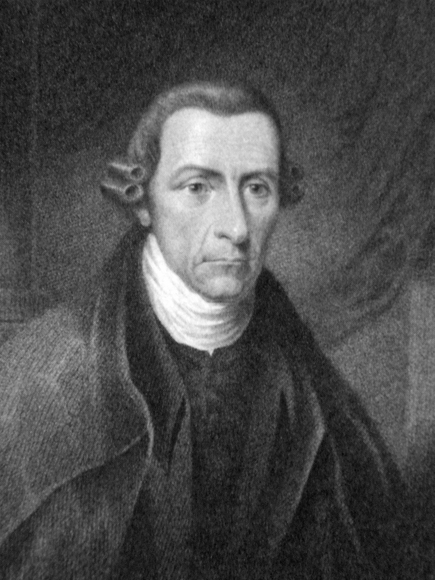 In 1774, Patrick Henry was the Virginia representative to the First Continental Congress. Then, in 1775, he would tell his fellow Virginians in St. Johns Church in in Richmond to arm themselves in his famous speech, “I know no what course others take; but as for me, give me liberty, or give me death.” He would then be elected governor for the first time from 1776 to 1779 and from 1784-86. In 1787, Patrick emerged as the leading spokesperson for the Anti-Federalist. Alexander Hamilton, John Jay, and James Madison released a series of 85 essays detailing why the Articles of Confederation needed to be abandoned in favor of a new constitution. The essays were called the Federalist Papers. Among the chief reasons, was the fact that the Articles did not allow for a way for the government to pay its debts. Another problem was that they all had to agree on whatever decisions were made, so nothing was getting done. In addition, there was no strong central government. The Anti-Federalist claimed that the new constitution would annihilate a state's independence and endanger individual liberty. Patrick Henry soon emerged as the voice for the Anti-Federalist. Patrick was on his feet constantly for 23 days trying his best to arouse fear in all of those who wanted the new constitution. He called it a conspiracy against the poor by the wealthy. James Madison spoke for the Federalists and he knew he couldn't match Patrick's flamboyant speaking style. Madison methodically tore into Patrick Henry's reasoning for not ratifying the new constitution. The new constitution was finally ratified on June 21, 1788.